There's a WSC 002 Course for Every Interest -- Check Out These Great Course Descriptions! Not sure which WSC 002 course to take? Check out these course descriptions and take a course that you'll truly enjoy next semester! WSC 002 offers continued instruction in expository writing, and an introduction to writing in the disciplines of the humanities, social sciences, and natural sciences. Reading and writing assignments are organized around a central theme. You will find a description of central themes for the Spring 2015 semester below. WSC 1. May not be taken on a Pass/D+/D/Fail basis. The Writing Proficiency Exam is given as part of the course. If you have questions, please contact the Writing Studies and Composition office in Mason 124 or call 516.463.5467. How do we make sense of our lives? Who are we? Where are we? And where are we going -- and why? These perennial questions will be addressed from the rhetorical and methodological perspectives of biology, psychology, and cognitive linguistics. What is our relationship with the screen? How does the computer screen differ from the cinematic screen? Does it serve as a mirror or a veil? What version of self is revealed or concealed, reflected or distorted by the screen? How do we construe the multiple screens we view and interact with in public and in private? How do we feel about the portable screens we carry with us? What kind of self (or selves) do we promote on screen? How is our identity tied to such screenshots? By investigating the ways identity is presented -- by individuals and by groups – on screen, we will learn a lot about how our technological selves feel about words and images. By such study, we can come to terms with the way writing can communicate what we know or what we wish to be true. The second course in composition is an opportunity to learn more strategies for gathering information, drafting, revising, and formalizing writing. In this class, we will write in a variety of media, including print, digital, and visual modes. In addition to writing three formal, text-based, academic essays, students in this class will write a course blog, make a collaborative prezi, and prepare a visual montage. Should we always forgive those who have hurt us? What is empathy? How do our childhood dramas live on in adulthood generating empathy and/or enemies? Can we forgive our own insensitivities and betrayals? What enables us to reopen our hearts? What are the biological, psychological, and social effects of prolonged anger? How is forgiving others a mirror image of forgiving oneself? How can groups divided by prejudice and hatred come to live together in peace? Aside from imprisonment, how can criminals be rehabilitated? How can parents, spouses, teachers, business leaders nurture empathy and social intelligence? Sleep. All living things require it in some form or other. By rough estimate, human beings spend 1/3 of their lives doing it. Next to love, but more than money, we crave it most. You’d probably rather be doing it now than reading this, yes? So, to meet you half way, this semester our course theme is “Sleep and Dreams: An Inter-disciplinary Investigation.” Readings for our course will consist of texts in the Natural Sciences (Biology, Neurology), Social Sciences (Anthropology, Psychology) and Humanities (Literature). We will engage with these texts through reading response, class discussion, and composition. The composition portion of our course will focus on students’ continued practice in developing thesis and argument, through each stage of the composition process; discovery, organization, drafting and revision. 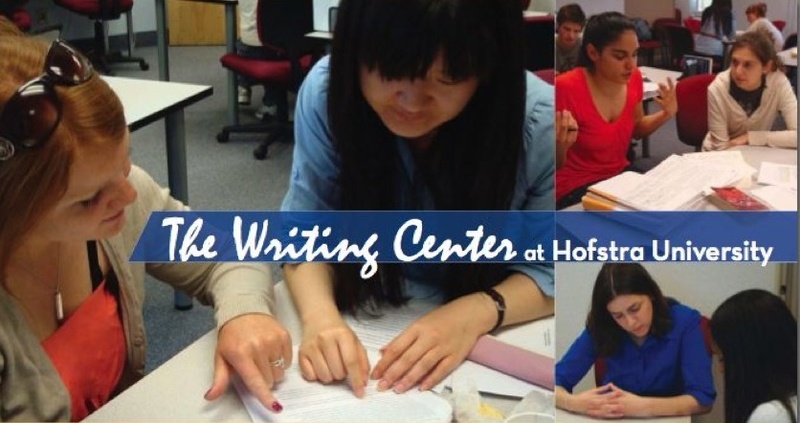 All major assignments are designed to give students a proper grounding in the kinds of academic writing with which they will be engaged during their Hofstra careers. The goal of this course is to make a critical assessment of popular culture over the past 50 years or so. We will focus on lifestyles, technology, music, film, TV, art et al with a possible comment on the direction pop culture is, will be and/or should be taking. There will be three (3) papers (in a way, one large paper in three parts) showing some logical progression/evolution/devolution of pop culture: a genesis, a turning point and the current state of affairs. The 60’s: the decade that shaped a generation and a nation (and do I dare say, the world?) will be our theme for the semester. Hippies, Flower Children, Freaks, Flower Power, Free Love, The Summer of Love, Make Love Not War, Turn on, Tune in, and Drop out: all terms you’ve heard before. But “If you want to be experienced” as Jimi Hendrix once asked, burn your bras and draft cards and board our Magical Mystery Tour Bus for the “Trip” of your life. In this section, we will study the 60’s counter-culture revolution by reading Tom Wolfe’s novel, The Electric Kool-Aid Acid Test and by viewing such films as Woodstock, Alice’s Restaurant, Cheech and Chong’s Up In Smoke, and Across the Universe as it relates to the Humanities, Social Sciences, and Natural Sciences disciplines. Are cyborgs only characters in movies, or do half-humans, half-robots actually exist in our everyday reality? While we generally think of our bodies as natural, carbon-based flesh, our growing relationship with technology begs this question. In this course, we will examine the intersections between the body and technology: How does our use of technology change the “natural” makeup of the body? How do prosthetics and other aids for persons with disabilities affect our conception of where the body begins and ends? How do we define the body, and how do the ways we talk about the body affect what it is and does? This course will ask these and other questions about our cybernetic bodies and look to scholars in the natural sciences, humanities, and social sciences to begin to find answers. We will develop our own answers in written response, analysis, and researched argument. Multicultural perspective on advocacy for social justice and an affinity to identify the appreciative value of diversity are still imbued within marginalized ethnic, racial, and gender differences. This course examines how written discourse in the Social Sciences, Natural Sciences, and Humanities has contributed morally, legally, financially, politically, and scientifically either to exacerbate or to preclude bias. During the term, we will explore how individuals can empower themselves as conduits of civility, civil liberty, and civil rights. A look at the 1930s through the Dust Bowl, the Great Depression, and a decade's worth of film, dance and music. This semester we will look closely at these two major events that created nearly a decade's worth of trauma and change to life in America, and the entertainment that not only provided a much needed escape from the resulting hardships, but also reflected the shifting changes to societal attitudes and expectations. This is first and foremost a writing course which will explore man’s need to know the unknowable through the areas of fantasy, psychic phenomena, and scientific extrapolation, We will be reading learned essays by scientists such as astronomers and psychiatrists, social scientists such as anthropologists, psychologists, and sociologists, as well as some articles from magazines and newspapers. Some works of fiction and art will also help us explore how people have responded to what is real and what isn’t. We will explore through the literature why a recent essay in NEWSWEEK suggested that high schools need to include in their science courses the analytic ability to discern “good” science from “Bad” science (referred to in the article as “BS.”) It is important for every member of our society to be able to differentiate between what we’d like to believe in and what is actually possible if we are to make wise choices and be wise citizens. Too much is at stake if we don’t. Our WSC002 theme for the semester is “dangerous reproductions.” Class discussions will evaluate the cross-disciplinary literature we read in class based on questions such as: what were the prevalent social attitudes during the period in which the literature was written? How did families, political leaders, writers, artists, scientists, and other individuals, live, dress, eat, and think during this period? What were the political and cultural views that influenced the author’s work? These perspectives will dominate class conversations as we examine the theme of “Dangerous Reproductions.” These issues will circulate around the major influential novel of nineteenth-century England written by Mary Shelley in 1818, Frankenstein, Or the Modern Prometheus. Memory seems to be essential to our identity as individuals so what happens if our memory becomes impaired or even lost? How do we then define identity? Why are we fascinated by stories of amnesia, recovered or false memories, or science-fiction tales of implanted or erased memories? Should we bother to improve our memory when technological advances have allowed us to have external “memory storage devices”? We’ll read and discuss texts about these and other issues, as well as the most recent scientific discoveries about what actually happens in our brains when we form memories. For the first time in human history, more than half of the people on earth live in cities, a phenomenon that’s come to be called the Urban Millennium. Most of this growth is taking place in Asia and Africa, where cities are absorbing one million new people a week. Such massive influxes both testify to the unique place cities hold in human imagination and experience, and also represent the challenges cities are facing for the future. This section of WSC 2 will use an exploration of the various ways that cities have been imagined, studied, and constructed as a touchstone for examining the conventions of writing and argumentation in the humanities, social sciences, and natural sciences. Have you ever wondered why the arts have endured in various forms in human existence for 50,000 years or more? Are they mere decoration for human society? Or do they serve some deeper human needs that keep them alive? Do their forms and energies exist in areas of life (sports and games, for instance) that we don’t often associate with the arts? Why are the arts frequently disregarded, even disliked, by some people? Our discussions will explore such questions from perspectives shaped by the humanities, social sciences, and natural sciences with additional attention to law and business. The instructor brings the burden of the past to this course; you the students, it is hoped, will bring the fresh and tumultuous air of the present to the study. What is happening in the arts you are interested in – video arts, street arts, body arts, photography, music, dance, writing, and more? Have the forms of the arts changed entirely? Do the arts retain anything that connects them with the past? In what sense do they point to the future? You will have lots of room and freedom to explore. There will be assigned readings, three or four graded papers, lots of discussion and experimental presentations (visual, oral, verbal). It’s a class geared to students who are driven by curiosity, diligence, creativity, and imagination. In a story, probably apocryphal, Henry Ford commissioned a survey asking which parts of the Model T Ford were most reliable. Almost every part, it was reported, was subject to breakdowns with one exception: the kingpins. As psychologist Nicholas Humphrey reports, “With ruthless logic Ford concluded that the kingpins on the Model T were too good for their job and ordered that in future they should be made to an inferior specification.” What kind of thinking is this? Is this “ruthless logic” exclusive to human beings? This WSC 2 class examines how we think and how we think about thinking. We will read texts from the Social Sciences, the Humanities and the Natural Sciences that either delve into meta-cognition (thinking about thinking) or apply some facet of it to the writing and subject. Much of this comes down to Theory of Mind, or “mind reading,” as it has been called. We will discuss how writers spend a lot of time “mind reading” their audiences and how this informs many of their rhetorical moves. Our essays will focus on how writers in their respective disciplines organize knowledge and construct their own ways of knowing and communicating. The course focuses on the themes of work and the job. The readings come from economics and history. All of the writing assignments derive from these fields. One of the essay assignments allows students to incorporate their own work experiences into the essay, a so-called “autobiography of work.” Most of the graded essays are thesis-driven, i.e., students will have to create a thesis and support it with evidence. There will also be in-class essays, all of which are ungraded- -usually some form of reader response writing. Writing about the environment, our notions of nature start with how we see ourselves and other creatures. How does the experience of place affect our inner lives, and how are we affected by natural versus artificial environments? Our economic ideas and values ultimately have consequences for the planetary ecosystem of which we are a part. What does our use of land say about who we are and what we value and believe? These questions and others about the environment will be explored through readings, field trips around the campus, and films. This course will explore major contemporary social issues of our time. Topics of conversation and writing will be guided by up-to-the minute news, social media, and publications. Class focus will weigh the legal, ethical, economic, social and political consequences of each issue, asking students to analyze the full context of each. The interactions and decisions of adolescents are often influenced by a combination of human nature, social interaction, and the physical environment. In this course, we will examine the complexities of human nature and how personal experiences and human interaction coupled with inborn characteristics often influence adolescents in the difficult task of making moral and ethical decisions. Using readings and writings in the humanities, social sciences, and natural sciences, we will concentrate on this central theme and focus on critical reading, thinking, and writing. Through written essays, creative projects, and research, we will explore the intricacies of the adolescent mind. In this class, we will consider the experience of trauma from a variety of disciplinary vantage points. We will consider creative representations of trauma, historical experiences of trauma, the psychological effects of trauma and the science of trauma. We will also work to concretize writing skills such as thesis development, effective syntax and essay organization. The purpose of this course is to improve essay writing skills by close-reading and analysis of texts, reflecting the course theme of The Individual And Society, from the points of view of Society, the Humanities, and Science. Every day we are writing our digital selves. How much do we control the process of the creation of that self, and how much is that process controlled by digital media and the environment? Howard Rheingold uses the word “infotention” to describe how information consumes our attention. To what are we paying attention? Are we in control of our own attention? Or are we allowing the digital world to control that attention? Are we becoming post-human cyborgs? And are we in control of that process? Are we writing ourselves or allowing ourselves to be written? We will look at writing across the curriculum to examine how we are writing ourselves. With carbon emissions continuing unabated, even after repeated efforts to reach global consensus on reducing them, scientists, economists, business leaders, environmentalists, and others are taking a hard look at methods of intervening in natural processes on a global scale to avert what many see as an impending ecological disaster. Call it hacking the planet, playing God, tuning the weather, fixing the sky, or simply madness, the debate over its viability has begun. This course weighs the legal, ethical, economic, political, and scientific arguments being made for and against geoengineering for their implicit assumptions, values, and rhetorical methods. Although the course addresses the scientific bases for various geoengineering proposals, its focus is on scrutinizing the logic and rhetoric of the arguments for and against geoengineering and on writing in response to these arguments. Step Into the Digital Age With WSC 180S/ENGL 192E -- Trending Now: #READINGWRITINGTECHNOLOGY! How does technology limit or enhance our ability to understand ourselves, our society, and our culture? And what does it mean when the humanities—literature, music, art--are reshaped by digital interactions and the possibilities of hypertext reading? In this course, students will examine and play with cutting-edge digital tools used to enable such creative and humanistic activities as annotation, collation, translation, editing, archiving and data mining, geographic location, and visualization. We will work with tools, some developed at Hofstra, that will allow us to compare different versions of a “fluid text,” to create and annotate their own archives, and to build websites. Readings may include works such as Chaucer’s tales, Shelley’s Frankenstein, Melville’s Billy Budd, and born-digital texts like Jackson’s Patchwork Girl. No previous acquaintance with or expertise in digital studies or programming is required.